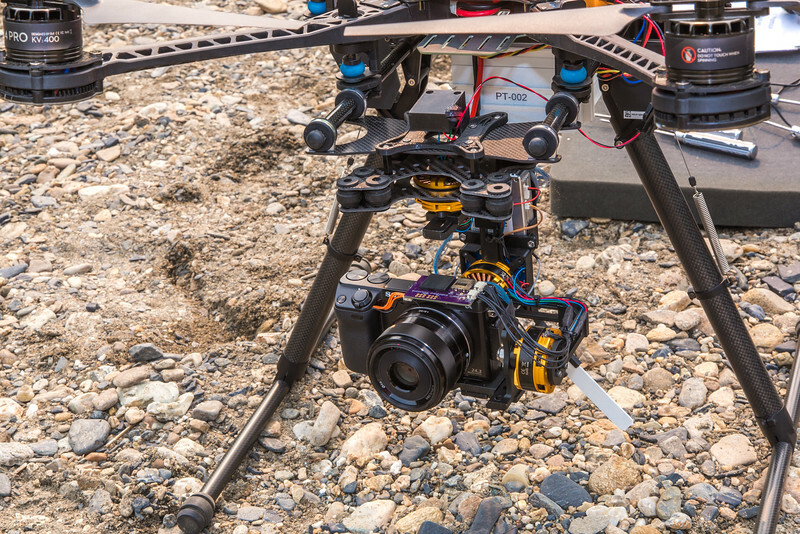 A camera mounted to an unmanned aerial vehicle (UAV) stands ready to collect video of important king salmon spawning habitat along a popular stretch of the upper Chena River about 40 miles northeast of Fairbanks. The project was a collaboration between the Alaska Center for Unmanned Aircraft Systems Integration (ACUASI) and the U.S. Fish and Wildlife Service.